Jump-Start your production; create your story. Butler is the perfect place to explore all dimensions of Mass Communications. You work with professionals on an award-winning team. 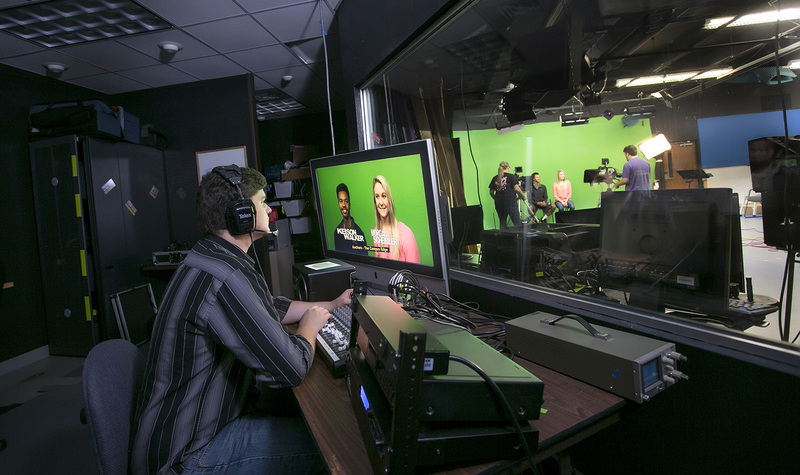 Whether you want to sit behind the mic in a sound studio during a live broadcast, produce a football game or investigate a college activity, you get hands-on skills in Butler’s multi-faceted program. You have the opportunity to work in Butler’s state-of-the-art facilities and are equipped for internships anywhere in the state. You can also offset college expenses through a mass communications scholarship. 465 Radio and Television Announcers are currently employed in Kansas.